Most useful way if you’re a network administrator, Server administrator or web developer. And you’re working with Mac OS X machine likely MacBook Pro, MacBook Air, iMac or Mac Mini. Furthermore each version of Mac OS X has different- different command to reset DNS cache. So you should use exact command according to your system version of OS X. You may very familiar from DNS Cache, because you may face a situation to DNS cache in Mac OS X. but here about DNS cache who are beginner in networking. DNS Cache is a small database that maintained by a computer’s system (Mac, Windows, Linux) etc. it accept DNS quires from local clients such as web browsers (Safari, Google chrome) and mail transfer agnates. So it collects response from remote DNS servers. It caches the response to save time later. But sometimes it might be necessary to reset the cache immediately and re-quarry a DNS Server. In addition, if your Mac machine isn’t using the latest DNS entries from remote server, then you can restart your Mac to update its cached info. But you can’t change DNS entries on your server through restarting your Mac. But you should do flush DNS Cache in Mac OS X Ei Capitan, OS X Yosemite and earlier OS X. 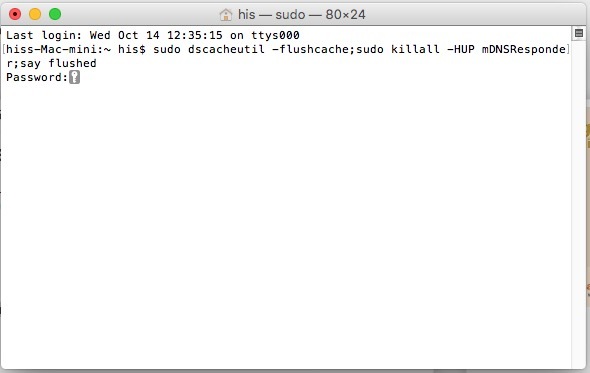 We recommend you a terminal command to flush DNS cache in Mac OS X EI Capitan, OS X Yosemite (10.10.4). 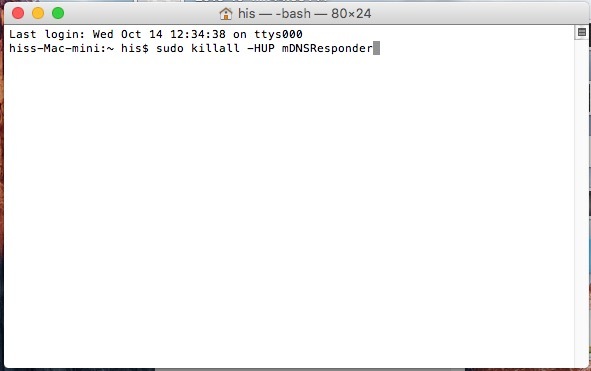 Terminal Command to flush the DNS Cache in Mac OS X EI Capitan, OS X Yosemite. To reset flush DNS cache in Mac you need to use the Terminal(known as CMD in windows). Step 1. Launch Terminal using Spotlight (command + Space) for Mac and Ctrl + Space for Windows keyboard. Step 3. Press return key and enter the Admin password when requested. it’s Say flushed. so that’s it. Do you want to know flush dns has changed? Let’s know do you have any latest version of OS X cache tricks. Text us in the comment box.